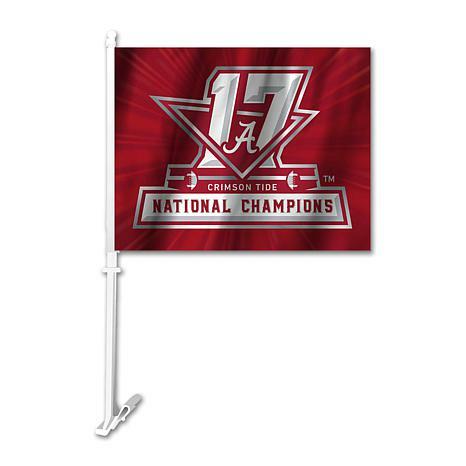 Our best quality NCAA Car Flag for the Alabama Crimson Tide National Champions. 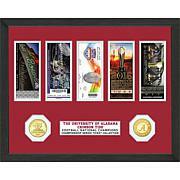 Celebrate the Crimson Tide's success with this official NCAA print on 100% Polyester. 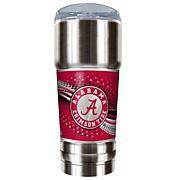 Deck out your car with two on your way to your Sunday tailgate. 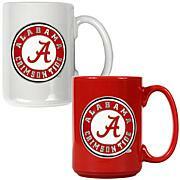 Flags come with pole and ready to put on your car or truck. 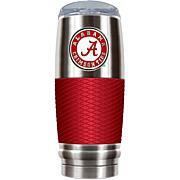 Show team pride while carrying your essentials inside. This embroidered leather wallet carries your bills, credit and business cards with ease. Designed with 4 slots and other organizational features, this handy companion is a great sporty must-have.